Acclaimed Boston-area chef Tim Maslow is known for his highly rated Italian restaurant, Ribelle, and is considered one of the city's brightest talents. But now, Maslow is gaining widespread attention for a, uh, different type of food that's got him in trouble with the law: marijuana edibles. 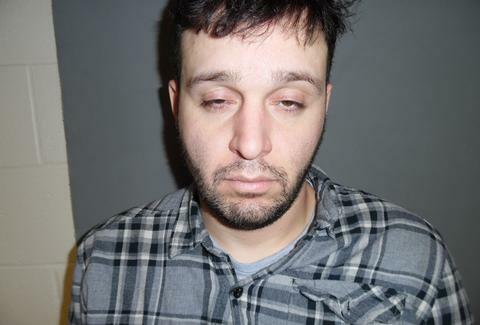 As first reported by The Boston Globe, the 31-year-old chef was arrested and released on bail Feb. 26 after police allegedly caught him with 22.5lbs of THC edibles and a pipe in his vehicle at the United States/Canada border. Police said the incident occurred around 4:44am at the almost all too fittingly named Highgate Port of Entry, and involved four other people, but authorities said Maslow was "very cooperative," and "claimed it was all his,” according to the report. He pleaded not guilty to a charge of felony possession of marijuana and possession of a depressant, stimulant, and narcotic. In case you were wondering, yes we are open for dinner! See you at 6pm. We called the number listed on Ribelle's website, but nobody answered.